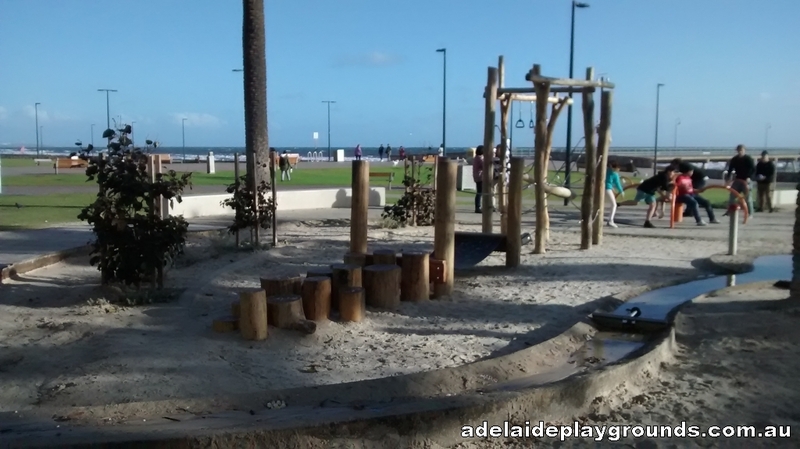 This playground is a great place to visit when you take a stroll down the bay. 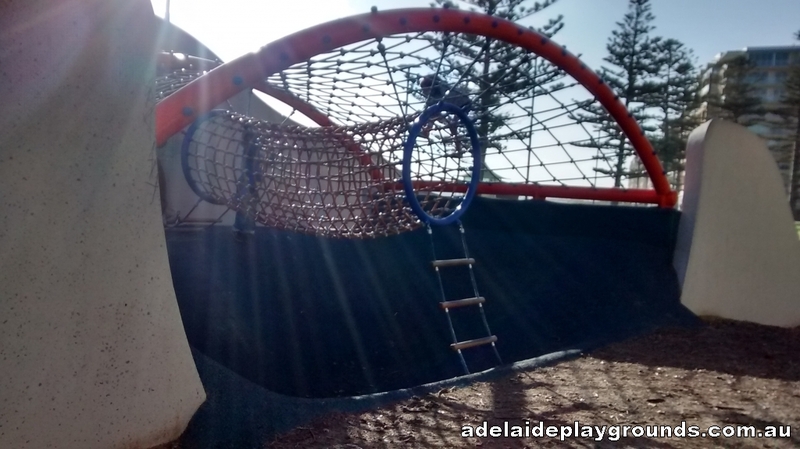 Not heaps of equipment, but enough to entertain the kids for a little while. 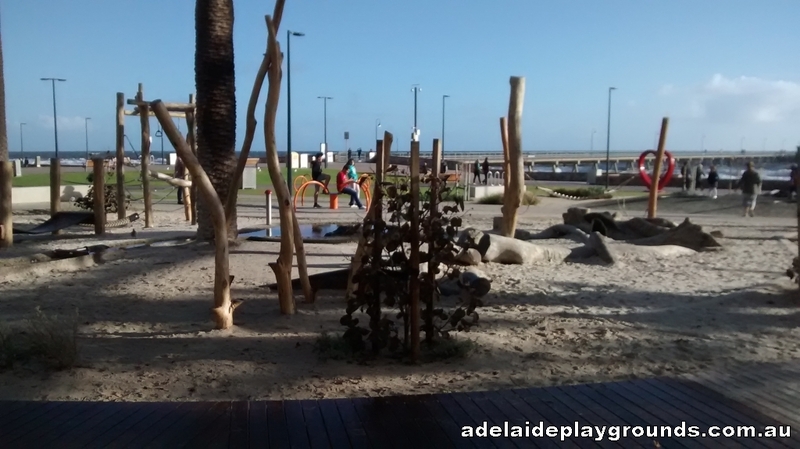 Plenty of food nearby to set yourself up for a picnic on the grass and enjoy the atmosphere of Glenelg. 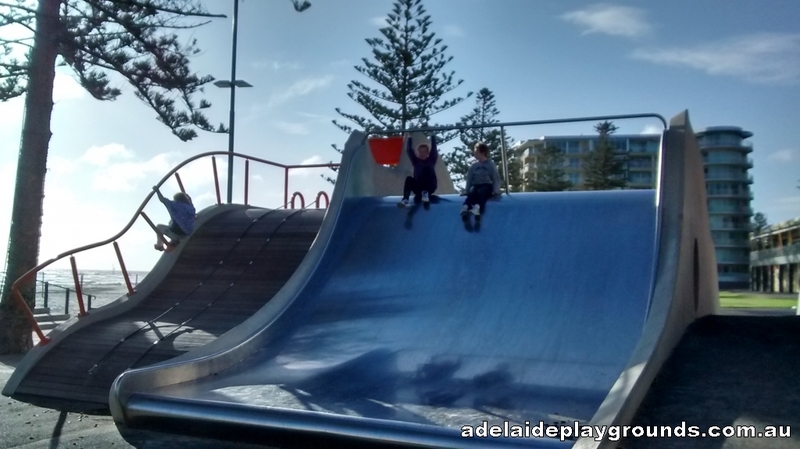 While there is no specific car parking for this playground, there are many options around from Jetty Road to Colley Terrace or a few undercover parking spaces in the area too.